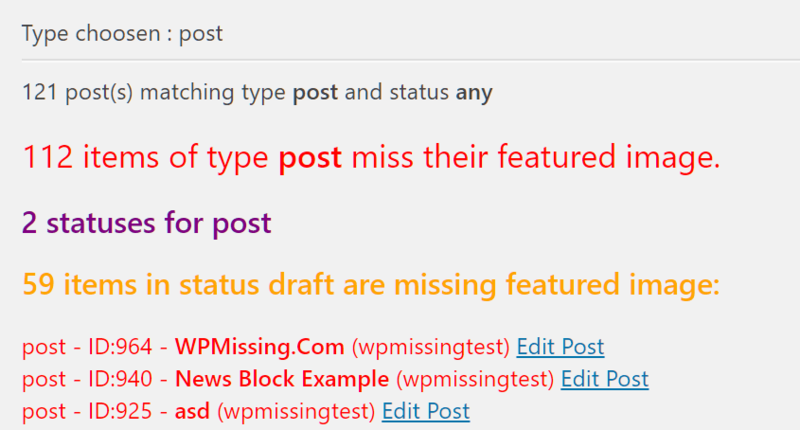 A small and useful tool to check which WordPress pages (posts, pages, attachments, custom post types, etc) are missing their featured images with a single click. 1. Go to the Add Plugins page and search for the plugin name Check Missing Featured Images. 2. 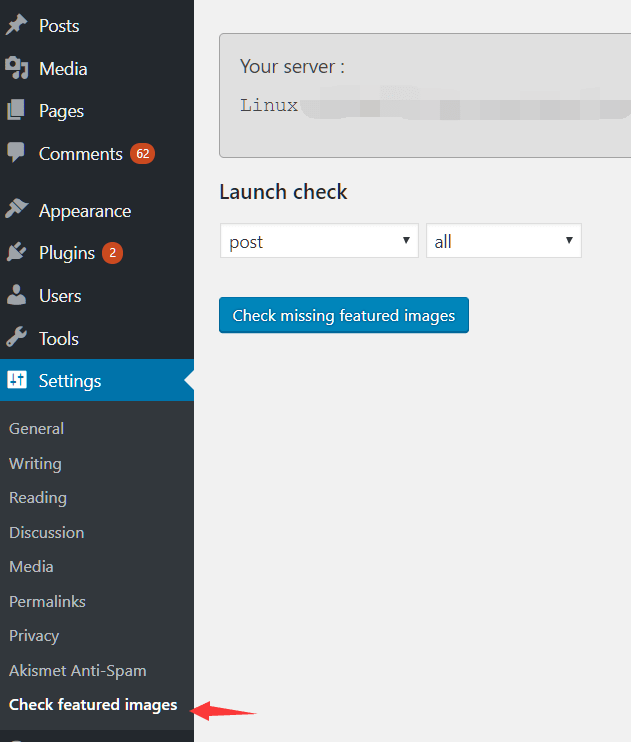 Install and activate the plugin on the WordPress. 3. Go to the plugin’s settings page. 4. Select the post type & post type and then click the Check Missing Featured Images button.